The past half-decade has brought much to delight scholars in our field. In this lustrous lustrum alone, we have seen Thurston’s now-canonical monograph on the lifecycle of rainicorn larvae and Schwartz’s field recordings of the peppermint people. Truly, we are experiencing a golden era in Adventure Time zoology. Now, added to this cornucopia, comes a new translation of a dusty folio produced by an early Enlightenment writer, Jan Mauritius van Faeckel. A foreword by the translator, Bryn Mawr College’s Professor N. Hardy Philips, presents a serviceable biographical sketch of Faeckel’s life and introduces neophytes to his major works. However, the estimable professor’s description of the seventeenth-century naturalist circles in which Faeckel produced these works is less accomplished. In particular, one would have hoped he would give more weight to the Leiden-Utrecht intellectual and cultural interchange Cornelius and Licht explored in their 1999 book. And his assertion that the naval officer Cornelius Tromp was the most important Orangist military figure during the so-called Disaster Year (rampjaar) of 1672 betrays a worrying lack of familiarity with Faeckel’s epoch. Introduction aside, Philips cannot be faulted for his sparklingly fresh translation. Entitled De principiis mathematicis et biologicum venenatis canes, the book was for many years the neglected stepchild of Faeckel’s work. It is to Philips’ immense credit that he shows that this disinterest stemmed not in the substance, but in the words. Earlier English translations would have us believe this remarkable book to be a lengthy investigation of the biological and physical attributes of a species of jackal native to southeastern Africa. Little mind that the full extent of Faeckel’s contact with such a jackal could have been only a stuffed specimen housed in a British nobleman’s Wunderkammer, and no matter that Faeckel is known to have visited England but once. This did not stop scholars from speculating that the author might himself be suffering from hydrophobia, given his apparently inexhaustible interest in these venomous and exotic creatures. Thankfully, recent work by Philips and a number of unrecognized other scholars has uncovered a fatal misapprehension of the text: In Faeckel’s Low Country Latin vernacular, “venenatis,” thought to refer to the jackal’s debilitating bite, has instead been more accurately rendered as “infused with a potent substance,” or more simply, magic. The importance of this correction can hardly be overstated: at once, a minor work becomes a critically important source, and there is not a shred of doubt that a generation of scholars will now turn their attention to poring over its little-noticed details. Nevertheless, Faeckel’s reputation has survived this historical slander. More important, his teachings on the so-called magic dog emerge undiminished. It seems that this much-ridiculed text provides a key to understanding these animals’ prodigious shape-shifting abilities. As is now thoroughly documented, magic dogs can stretch themselves to great length, grow very big or very small, and take on other forms. Other singular characteristics are likely related; see, for example, the dog’s defeat of microbial and viral pathogens by means of a “stretched” immunodefense system. Faeckel’s gift was to approach the magic dog without the pretense or academic hubris endemic in newer treatments. Though his text lacks the niceties of modern empirical process or detailed technical schemata, he shows a piercing understanding of these remarkable abilities. A haphazard diagram—evidently rendered in squid ink—shows the magic dog raising itself on immense hind legs to survey a sylvan landscape. Another, a more detailed rendering of the creature’s nostril, demonstrates its olfactory wonder, far superior to even other canine species. Viewed through Faeckel’s lens, it becomes quite plain that our contemporary paradigm of the species, Jake the Dog, is no more magic than the Giant Pacific octopus, Enteroctopus dofleini, which, despite an arm span of 6 meters, can fit through a hole the size of a lemon. The ineluctable conclusion is that the natural world is, after all, lumpin’ awesome. With the aid of this new translation, Adventure Time zoologists (and here the authors humbly nominate themselves) are poised for a remarkable breakthrough. 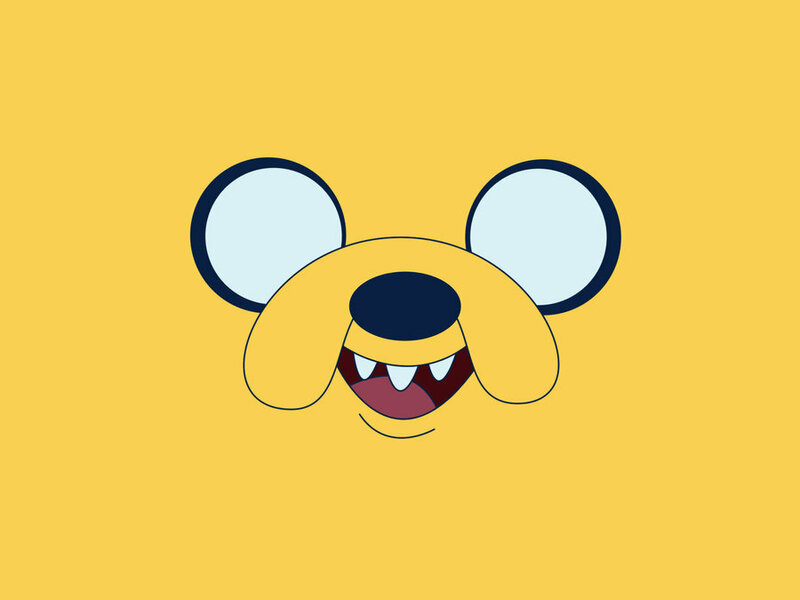 Thus, we seek to propose an as-yet incomplete set of principles guiding Jake’s physical properties, with special attention paid to his Stretchy Powers. Although Jake’s ability to stretch himself to hundreds of times his normal size is impressive, it is not without its limits. In fact, in Season 2’s “The Limit,” we see that his body, when pushed to extremes, begins to get thinner and lose its canine essence, with a corresponding toll on his mental capacity. Adding complexity would be a consideration of the interaction of the stretching ability with the magic dog’s response to toxins of all sorts. In Season 3’s “Jake vs. Mee-mow,” we see that Jake can enlarge his liver to fifty-one times its normal size—independent of the rest of his somatic proportions—to process a poison that would normally kill him. Similarly, in Season 2’s “The Pods,” Jake is shown consuming chocolate ice cream, first in small quantities, then in much larger amounts after he greedily enlarges himself. What would be fatal to a normal dog passes without so much as a comment. This suggests a sometimes conscious, sometimes unconscious, even autonomic stretching power that acts on the cellular level, allowing the processing of harmful substances by giant liver cells, powered with giant mitochondria, themselves made up of magnified phospholipids and amino acids, in turn constructed out of gigantic complex hydrocarbons. The implications for quantum mechanics are staggering. But in fact, Faeckel has directly proposed an explanation: A direct dependence on an atmospheric substance that allows magic dogs to expand. Faeckel termed this substance “procrustium,” after the stretcher of Hellenic lore, and postulated that its terrestrial quantity was strictly limited by unknown mathematical rules. It is this catalytic factor that limits the dog’s grow property. The authors will leave it as an exercise for others to use mass spectrometry tools to divine the precise formulae involved. Faeckel's curiosity was well known to verge on the competitive, and he would undoubtedly have treasured the knowledge of the specific mathematical underpinnings of the mechanisms he conjectured. Still, certain questions would have remained unapproachable by the limited science of his day—and indeed, continue to rest thornily in the sides of our field's theoreticians, who have as yet failed to reconcile existing frameworks at the extremes of their operation. Faeckel's posited procrustium may act predictably—if remarkably—in its interaction with many physical materials, but a coherent model for its behavior in contact with other substances possessed of similar properties proves elusive. 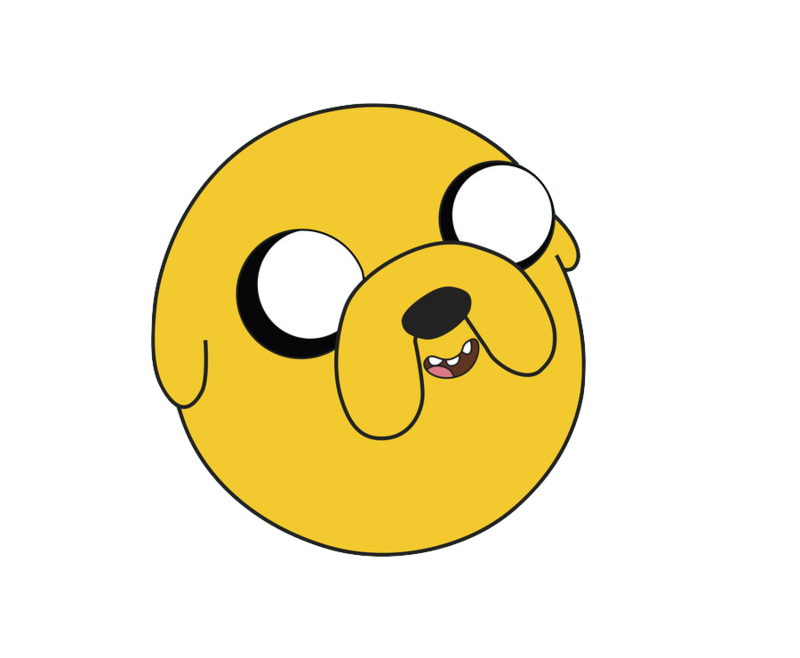 As early as Season 1's "Trouble in Lumpy Space," it's clear that Jake's Stretchy Powers provide little defense against the effects of the lumps, as transmitted by a lumpy bite. Even absent these answers, the degree to which Faeckel's rudimentary observational naturalism presaged our modern understandings of Adventure Time zoology is remarkable, and the welcome Philips translation will likely quiet the unduly skeptical scholars that have begun to receive so much attention of late. Naturally, our field expands and transforms in large part through new observation and scientific discovery; but under Philips's deft hand, Faeckel's work can remind us that a reexamination of earlier endeavors can prove just as informative. Such are a very few of the considerations which show that for every type of animal there is an optimum size. Yet although Galileo demonstrated the contrary more than three hundred years ago, people still believe that if a flea were as large as a man it could jump a thousand feet into the air. The authors can vouch for the popularity of this passage with a certain strand of notionally freethinking boarding school geometry teacher, the sort who could seemingly hear the pages of an issue of Fantastic Four turning in the back row. To such a man, Faeckel roars from out of the darkness: Your airless axiomatic truth is not all! For it is the same sclerotic approach to academic rigor that leads scholars to reject the seemingly "supernatural"—notwithstanding perfectly natural, if counter-intuitive, explanations—as leads to the dismissal of Faeckel's scholarship itself. Such a narrow view wraps itself in the cloth of commitment to science, but stands at odds with the animating spirit of scientific discovery. The revelation of such fundamental errors in earlier translations of what must now be considered a seminal work should call into question the field's most basic assumptions about the research of Faeckel and his contemporaries. Though the truly astonishing elements of this new translation are firmly contained within the primary focus on natural science, Philips is equally at ease translating Faeckel's unusual mathematical postulations. Faeckel notoriously immersed himself near totally in the world of numbers during the twilight years of his life; we look hopefully to Philips turning his expertise next to those crepuscular works and trust he can produce something truly algebraic. From a strictly academic point of view, this new, more accurate translation is all but guaranteed to achieve two noble goals: Adventure Time scholars can begin the important work of placing magic dogs into their rightful home in the taxonomy of the animal kingdom, and—perhaps as important—a new generation of scholars will be introduced to the groundbreaking work of one of the more eccentric early Enlightenment scholars. In truth, it is this last point that makes this new translation such an extraordinary entry into a field that, as we note, is without a doubt experiencing a golden era. New field discoveries are certainly an essential component in advancing Adventure Time studies. But our current ability to turn to slay the monsters of earlier misunderstandings in the field leave little room for ambiguity. Truly, it’s time for adventure.